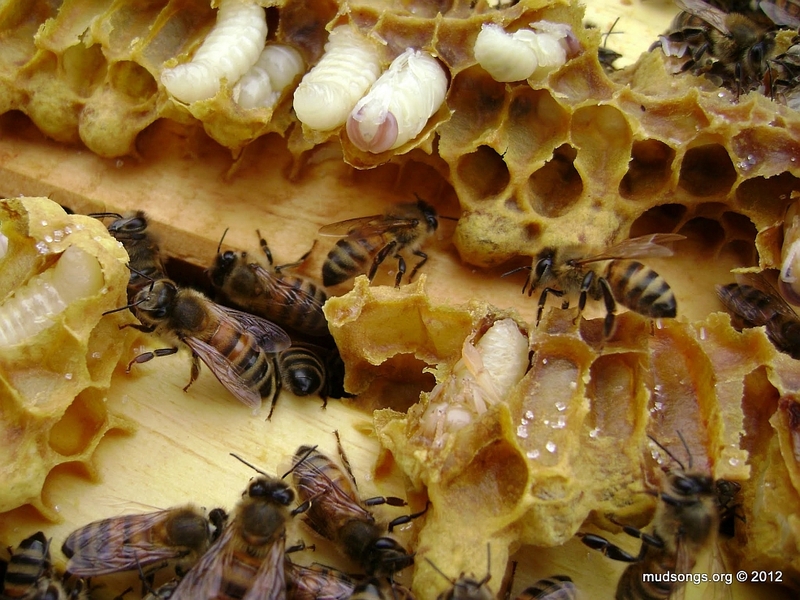 The pros, the cons and the challenges of keeping honey bees in an urban or suburban environment. The city of St. John’s may be one of the best places to keep honey bees on the island of Newfoundland because it’s full of maple trees and a large variety of flowering plants that offer honey bees a bonanza of nectar and pollen from June well into October. Walk around the city today and you will see flowering maple trees everywhere with little flowers that look like this. 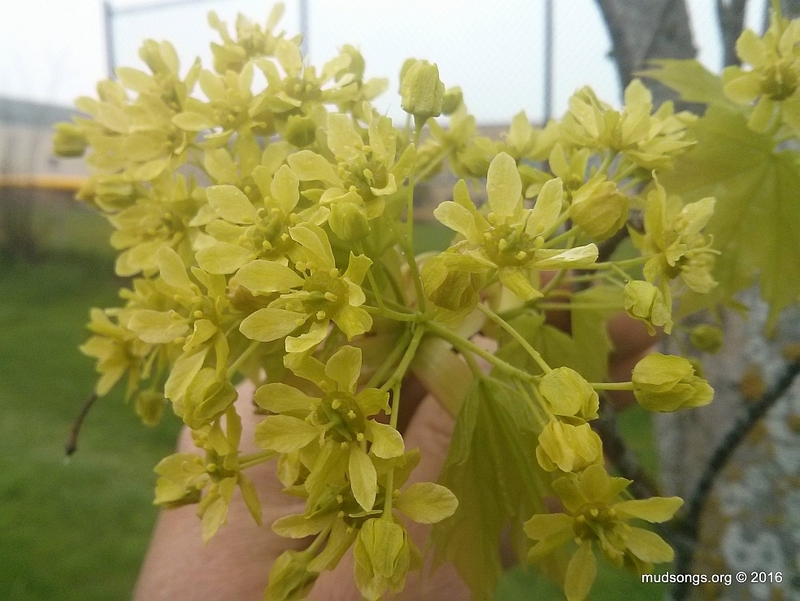 I took that photo on my cell phone and I know it’s not the greatest, but trust me, if St. John’s had more beekeepers, honey bees would be all over those flowers — and honey made from maple nectar is spectacular. 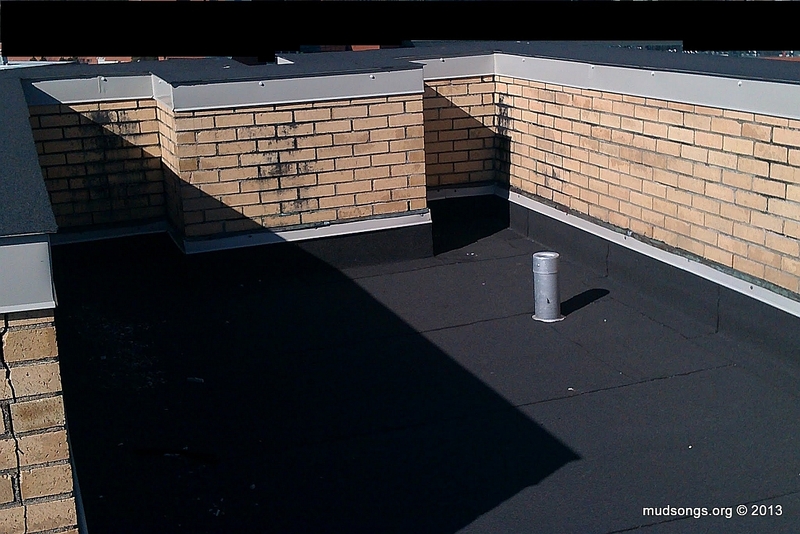 Although I’m extremely pleased to have finally found a place where I can keep my bees in peace and be around them every day, I don’t think my bees will ever thrive as well as they did when I kept them in my backyard in St. John’s. 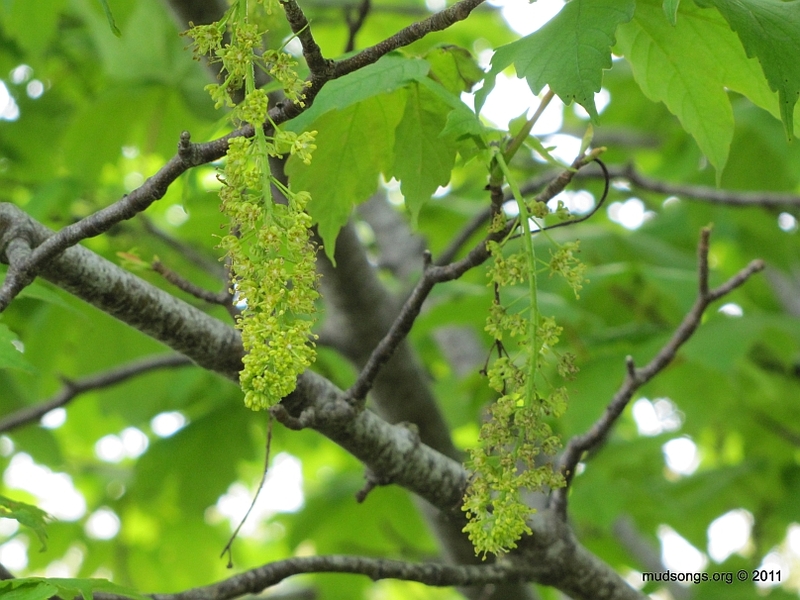 MARCH 05, 2016: I found this photo from 2011 that shows flowers on a maple tree, the kind of flowers that hang down in long bunch. The bees go for these too. Not the greatest photo but good enough. 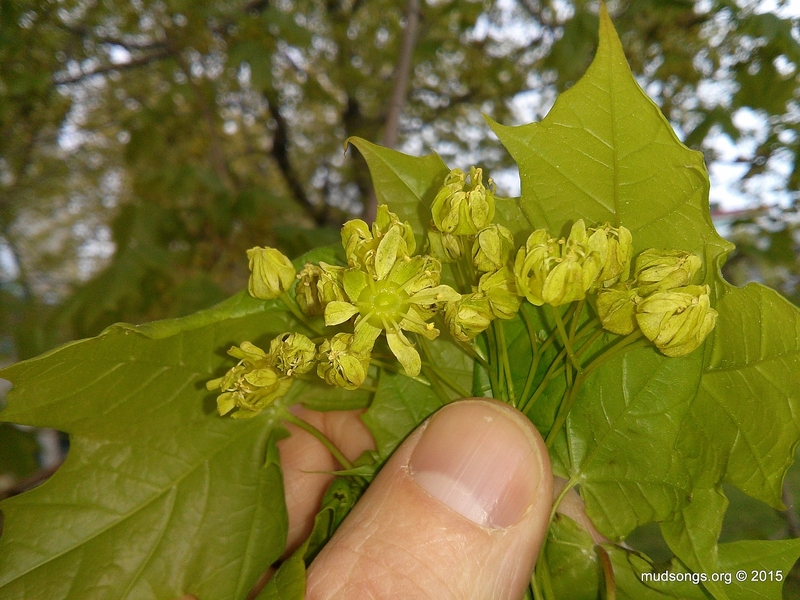 MAY 27, 2016: The maple tree flowers show up as early as May. Nice. The next photo isn’t pretty. You’ve been warned.